Apart from the odd scary movie depiction, scarecrows have long been a friendly and familiar feature of the British countryside. And, now, theatre audiences in Lichfield, Staffordshire, will be able to see a fairytale wedding between a pair of scarecrows live on stage. The Scarecrows' Wedding is based on a bestselling book written by Julia Donaldson and Axel Scheffler, the talented creators of the Gruffalo. The story has now been turned into a heart-warming adaptation by Scamp Theatre in their own inimitable style. And it will be performed at the Lichfield Garrick theatre on July 11. 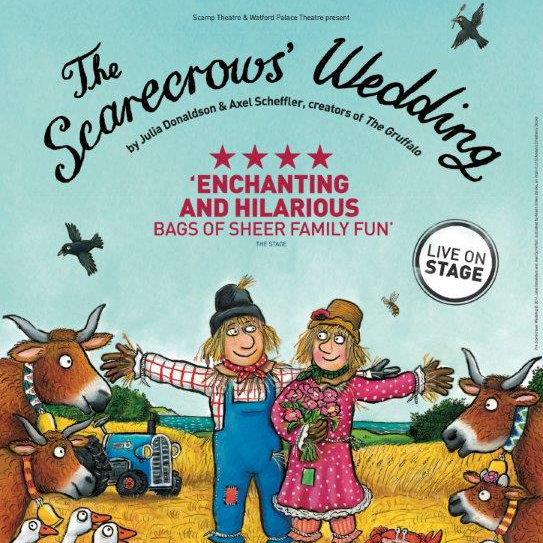 The West End smash hit children's production, The Scarecrows' Wedding, tells the story of Betty O'Barley and Harry O'Hay who are excellent at their job of scaring crows. Harry loves Betty, and Betty loves Harry, so they decide to get married and Harry sets off to search for their wedding day essentials including a dress of feathers, a bunch of flowers and a necklace made from shells. However, when the farmer notices he is missing a scarecrow, he replaces Harry with the devilishly smooth but dangerous Reginald Rake. Dashing, daring and ever so cool, can Reginald persuade Betty that he is the scarecrow for her? And will Harry be able to make it back in the nick of time before Reginald ruins their special day? Scamp Theatre, whose previous productions include Stick Man, Pirate Gran, and Tiddler And Other Terrific Tales, was founded in 2003 and is run by Louise Callow, ably assisted by Teresa Burns. 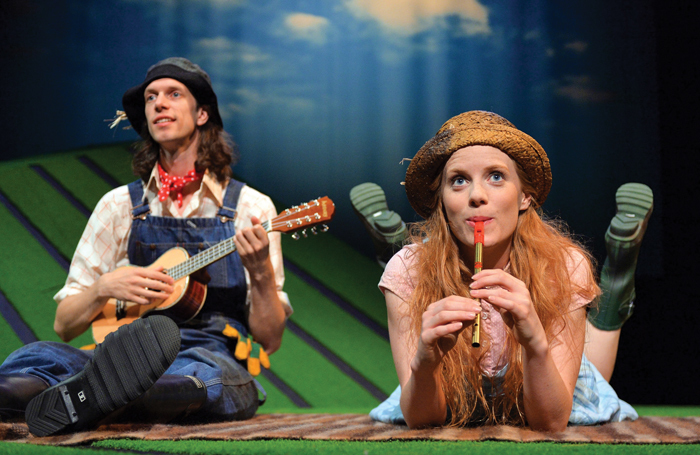 Scamp aims to bring a range of theatrical live performance to audiences of all ages, focusing on the imaginative adaptation of children's literature. With productions touring constantly, Scamp Theatre, which is based in Arlesey in Bedfordshire, pride themselves on being passionate about engaging new audiences as well as inspiring the next generation of theatre-goers. The Scarecrows' Wedding plays at the Lichfield Garrick on Tuesday 11 July with separate performances at 2pm and 4.30pm. This epic love story is suitable for all children from the age of three and above. Tickets priced from £11.50 are available online or by calling the Box Office on 01543 412121.t in the City of Lichfield.